Turn your kitchen into a carnival! Don't fret if you don't make it to the county fair this summer because with this recipe, it's coming to you. 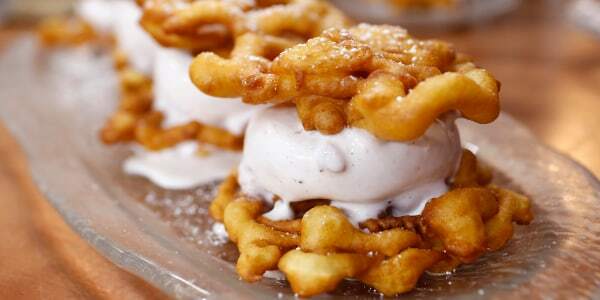 Try this sweet summer ice cream sandwich, featuring funnel cake for the "bread."